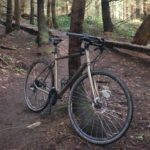 Consider me sold on the Jones H-Bar, at least for the Kona Dew that I ride mostly on mixed loops of pavement, paths and light single track. 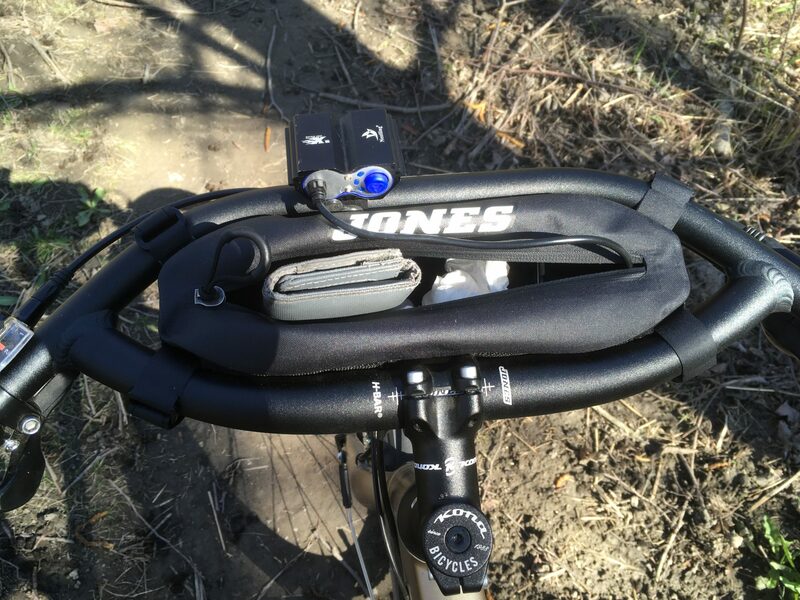 I purchased from Jones, installed it a few months back, and now have several hundred miles of riding on them. 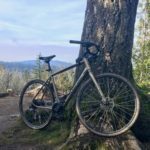 I was interested in them because as I put more and more road miles on the standard mountain bike flat bars I began to realize that my wrists became sore, I think both from the lack of multiple positions like on a drop bar and the fact that the one position on the flat bar had my wrists constantly kinked. 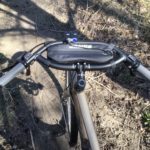 Flat bars have their purpose on single track where you’re constantly changing body position on the bike, but that don’t happen on long road miles. So the Jones bars were intriguing for the more neutral wrist position as well as the claims of alternate hand positions. 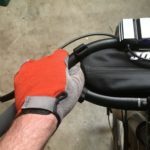 As far as neutral wrist position, I was kind of already sold on the idea because I put an Origin 8 Space Off Road bar on my Burley RunAbout last fall. 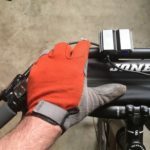 The Origin 8 bar has a similar wrist position to the Jones and rides well, never had an issue, but it just doesn’t have the extra hand positions. 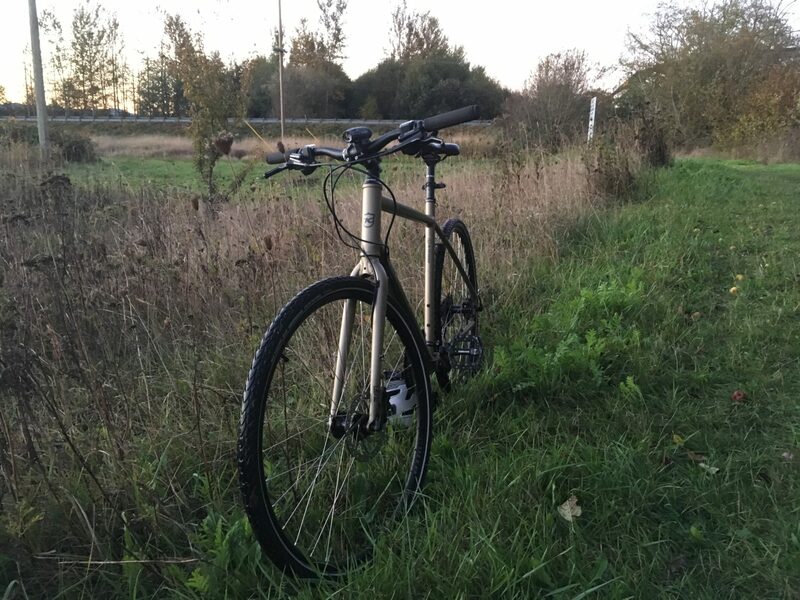 As I’ve mentioned, I like riding mixed loops, and in riding a lot of my loops I find that I spend time on some long pavement stretches that have me wishing to shift my weight and hands around. 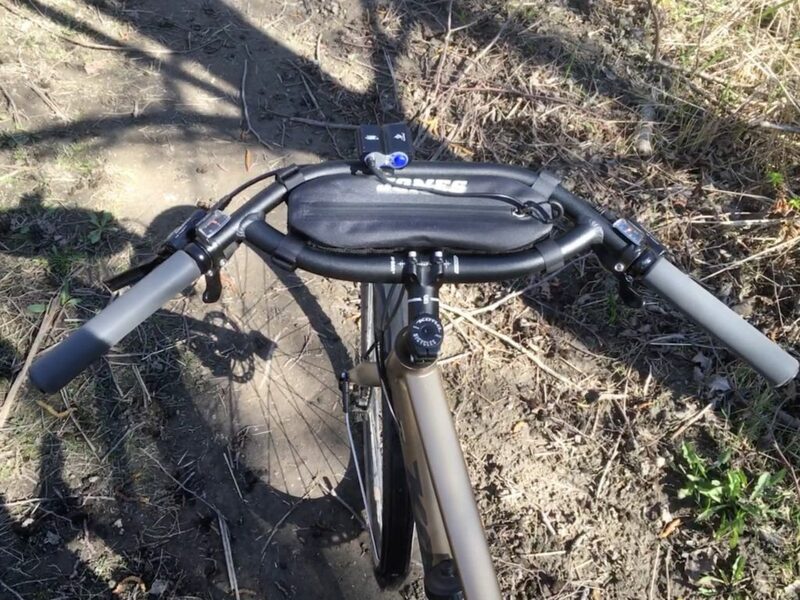 On road bars I can find 2-3 hand position options to keep the blood flowing, on traditional flat bars and even the Origin 8 bars I get just the 1 hand position. 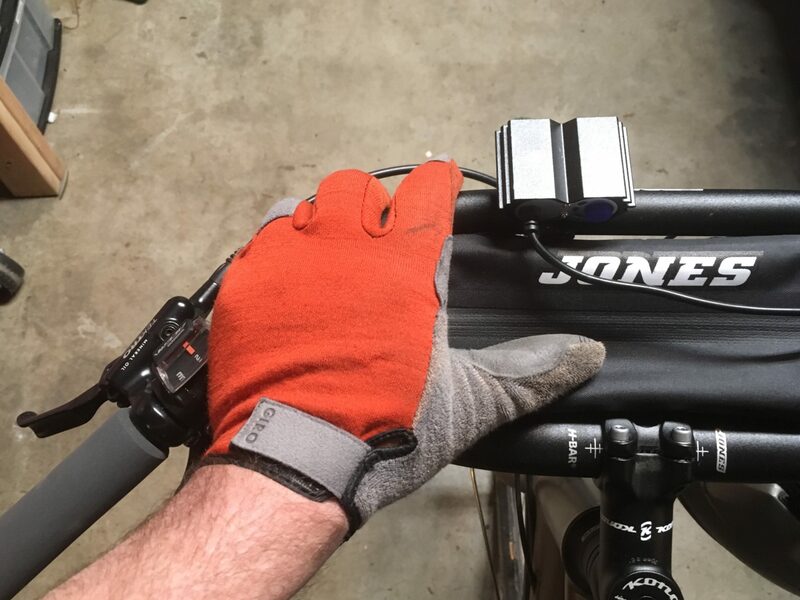 On the Jones H Bars I feel like I have 3+ positions, two positions on grips because the grips are super long, another with the palms of my hand covering the shifters with my thumbs in loop, another position with my hands gripping furthest loop and a few more that are combinations. 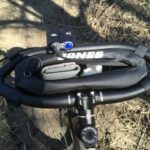 So wrist angle and multiple hand positions were big wins, but I was a bit worried about the price I might have to pay on single track for going to a Jones, especially on tight switchbacks or finessing the ridged front end through tight areas, where I worried that the bars would hit my knees and limit maneuverability. 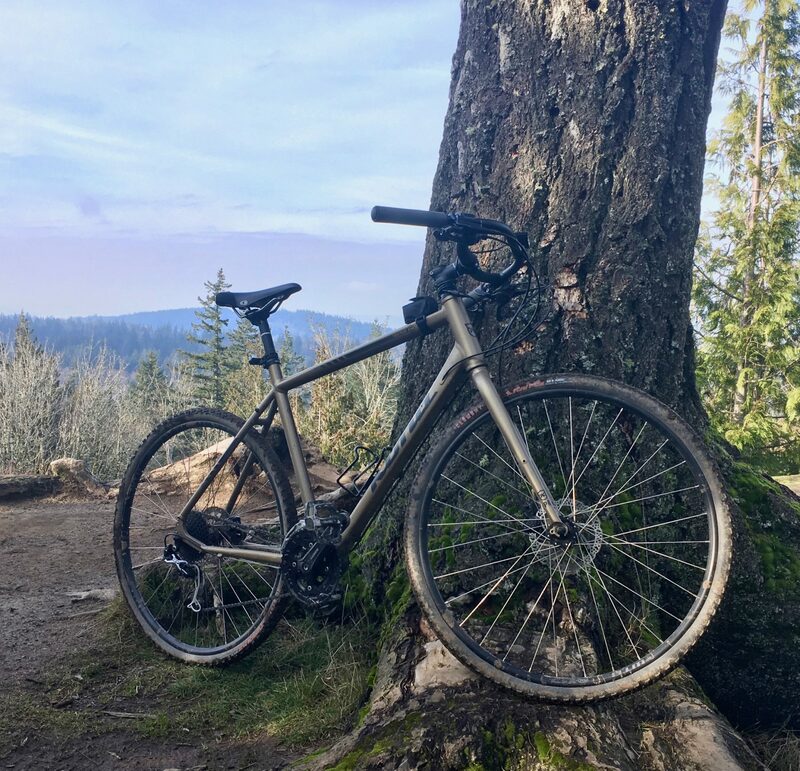 I also had a mild lingering worry that the bars wouldn’t hold tight in the stem, possibly rotating down over rough terrain or possibly up, if used for leverage during climbs. So far, I am finding that both of my worries were just worries and nothing more. Because I was worried about the bar twisting in the stem, I used a torque wrench to properly tighten stem and it has never moved even a smidge. And as for maneuverability …. 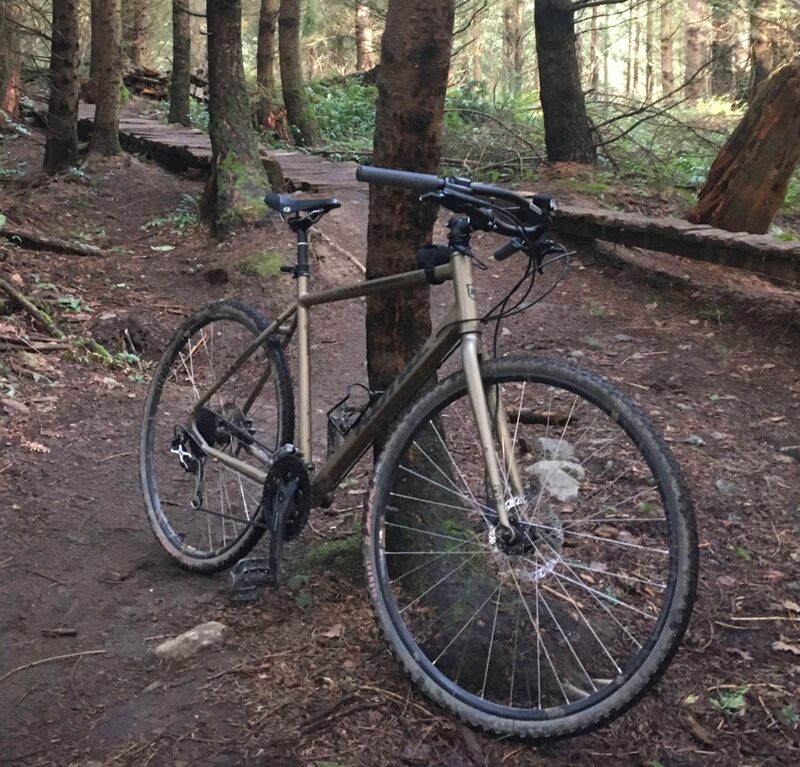 it was all in my head, nothing in my knees, because I’ve now passed through narrow several trails on Galbraith and around Padden, as well as some tight wheelchair ramps downtown all without incident. Seems that when I quit thinking about it and just rode the bike, my brain just made all the necessary adjustments. And to completely drink the Jones kool-aid, I recently added the custom bag that fits nicely in the loop portion of the bar. For now it holds my big headlight battery as well as phone, keys, wallet etc. I am looking forward to warmer drier weather because I think the bag has just enough room for me to occasionally go packless on a few rides. 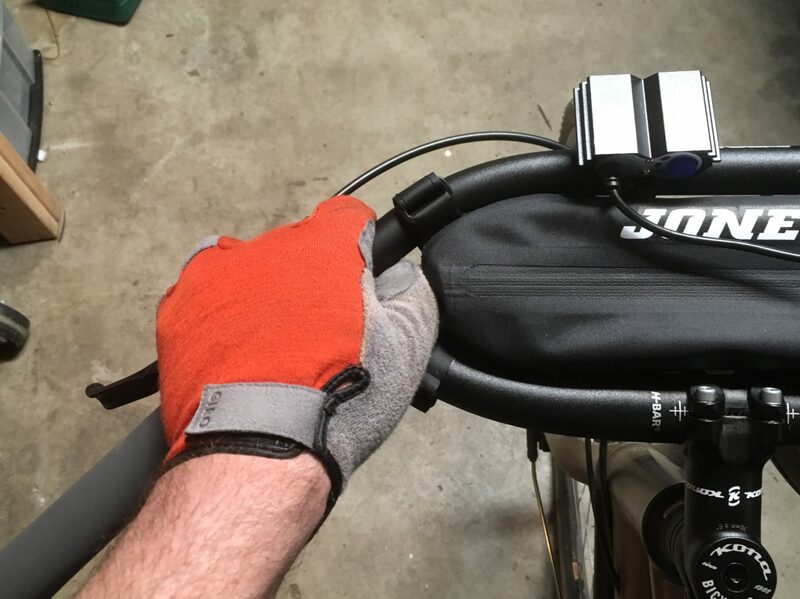 If I use a water bottle on the frame, I think I can fit a couple of tools, pump, tube, and phone in the bag. That’d be nice. 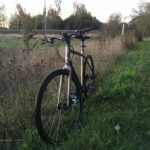 A keen addition to my Jones H-Bars.